Launched in October 2017, Copernicus Sentinel-5P - short for Sentinel-5 Precursor - is the first Copernicus satellite dedicated to monitoring our atmosphere. It is part of the fleet of Copernicus Sentinel missions that ESA develops for the European Union's environmental monitoring programme. 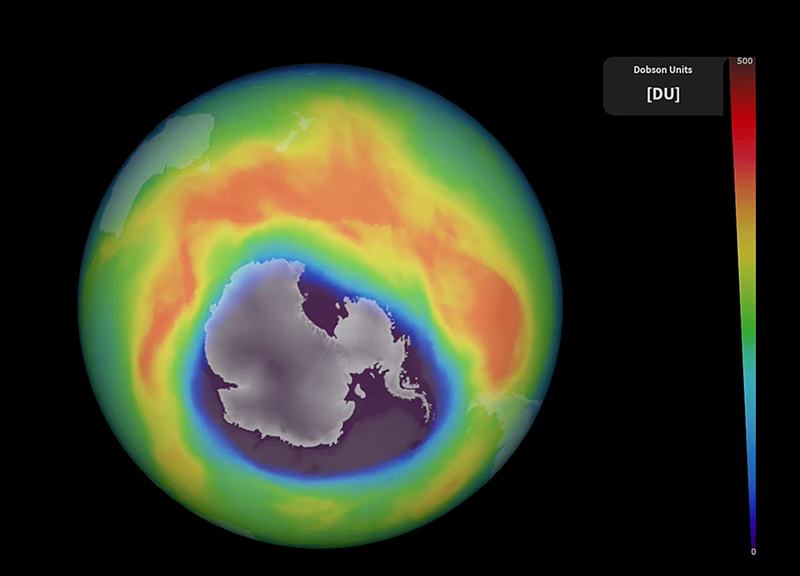 But lower down in the atmosphere, ozone is an air pollutant - the main ingredient of urban smog. It can cause breathing difficulties and also damage vegetation. ESA's mission manager for Copernicus Sentinel-5P, Claus Zehner, noted, "The uptake of these first data products into CAMS is a really important milestone - we couldn't be happier."